On Friday, at the last minute, I was able to acquire two front-row seats to see Jason Isbell at the Berglund Center in Roanoke. Danielle and I have seen Jason Isbell play several times before in varying situations. We saw him in a small rock club in Chattanooga and at the Ryman in Nashville. I’ve also seen him at record store promo gigs. While each show had its own character and vibe, the constant is always Isbell’s strong storytelling and gorgeously subtle melodies that stick with you long after the show. Solid seats to catch a rock show. We arrived in Roanoke just in time to catch a few songs by the opener Anderson East who was giving it all trying to elicit some attention and excitement from a crowd still filtering in. I’m sure it was a tough gig warming up a big room full of seated adults and East was gamely pulling people into his set. I really appreciate what East does with his tinge of retro sound made modern through an adaptable voice and a solid band. 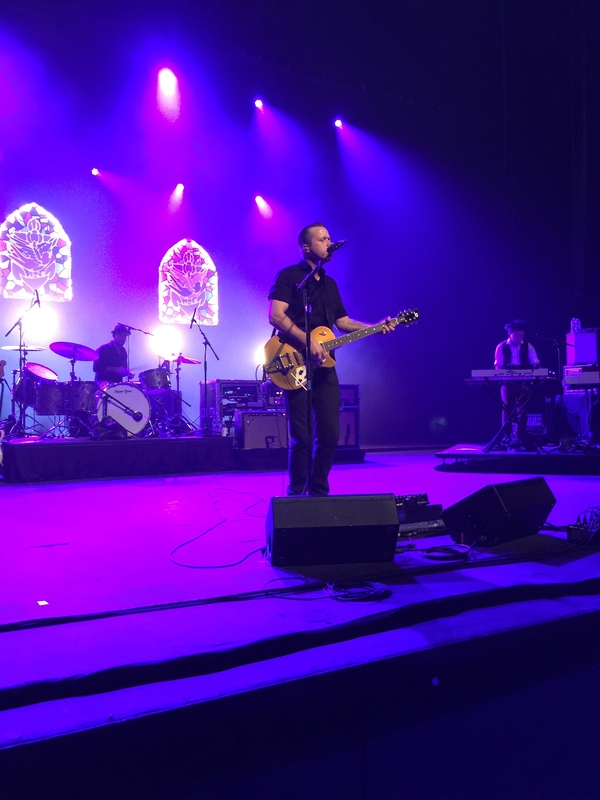 Isbell and his band, the 400 Unit, played a set with a strong mix of older songs, including long-standing favorites, Decoration Day and Dress Blues, with newer songs off the recently released album, Something More than Free. I was impressed at the flow of the set with some rocking jams leading into admittedly downbeat tunes like Elephant. The entire show was kicked off with an amazing version of Cover Me Up that built from an acoustic base into a full-band rock out. The Berglund Center is an interesting place to see a show. This was my first time there. It’s really set up for plays and maybe more sedate concerts. It’d be interesting to see how they set it up for more raucous shows. The sound was phenomenal even though we were in the front row which often has pretty sound though we were only feet from the stage. It was a show that didn’t suffer from the overly reverent and sedate vibe Isbell had at the Ryman and a decent dose of the loud rock we saw from him in Chattanooga. I recommend getting out there and checking him out on this tour. Sadly, he did not play one of my favorite songs of the Southeastern album, “Live Oak.” I contend that the song owes a debt to Peter Matthiessen’s Shadow Country which is my second or third favorite book of all time. 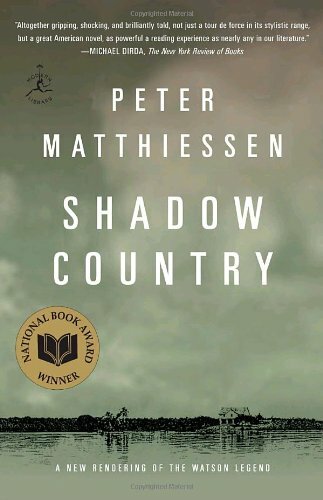 I highly recommend reading that if you get a chance.